Science Teachers – Innovation and Exploration! 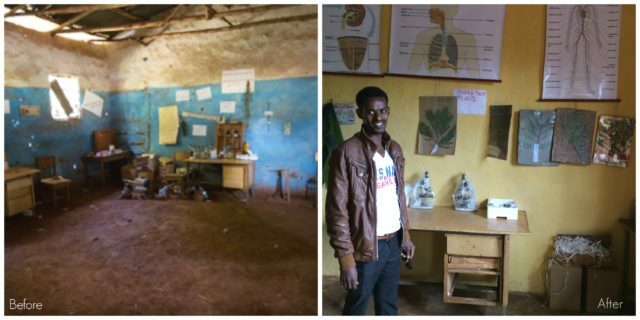 November was an exciting and busy month for thirty-nine (39) Science Teachers whose rural schools have received science laboratory materials from Roots Ethiopia. The Biology, Physics and Chemistry teachers gathered for a comprehensive 3-day training program in Hosanna in partnership with Hosanna Teachers Training College and funded by Roots Ethiopia. Science materials used in lab teaching settings are very limited and hard to find locally. Large class sizes make hands-on lessons with students difficult to facilitate. Most science teachers have not had hands-on lessons during their own teacher training. Implementing community-driven solutions that use local talent and materials is a priority for Roots Ethiopia. Along with training the teachers and providing resources for their science classrooms, educators were challenged to improvise in their classrooms using locally available goods and components! It was an exercise in creativity that will lead to teachers being able to make experiments and lessons available to students in their rural and remote schools. Of the 39 teachers participating in the training, over 20% of them were women. Roots Ethiopia is especially excited that students will be inspired by women in science-related professions. All of the participating teachers received a training manual for their use in lesson planning, and 90% of the training provided involved practical hands-on experiments. Some of the teachers mentioned they never had hands-on training as part of their teacher training, and they were excited and motivated to use what they learned in their classrooms. Your generosity makes transformations LIKE THESE possible. At Roots Ethiopia, we spend a lot of time listening to communities so we can deliver real and sustainable change. Thanks to all of you who helped to bring hands-on science lessons in these schools! Next Next post: Holiday Coffee Goodness – Our Cup Overfloweth!